It’s amazing how iconic Pixar characters have become in such a relatively short amount of time. I was reminded of this when I first saw today’s PixArt piece. 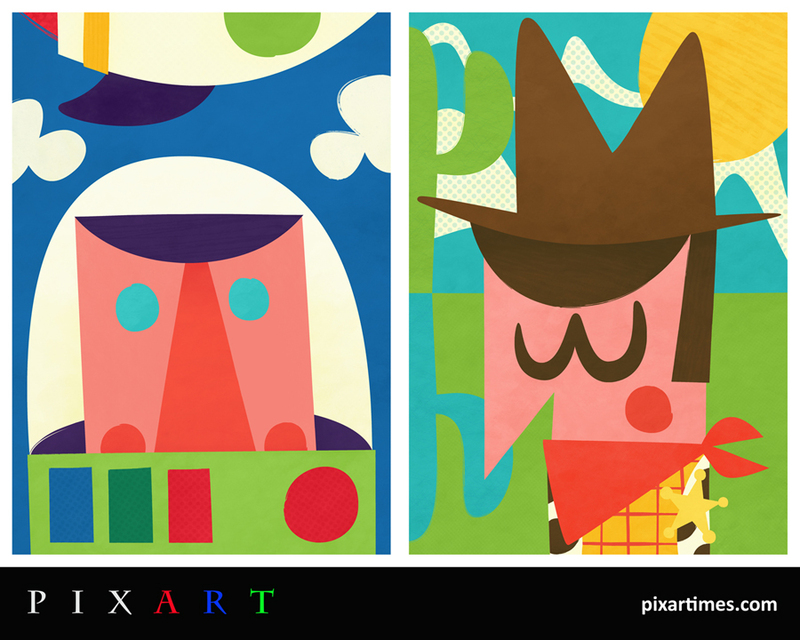 Even with just basic shapes and large swatches of bright colors, one can still quickly recognize Buzz and Woody. These wonderfully abstract portraits come to us from artist Pintachan. Based in Spain, this whimsical and prolific freelance illustrator has churned out some really fantastic images and designs for magazines, t-shirts and more. Make sure to visit his website for samples of his professional work. Read on for more about the artist in his own words!